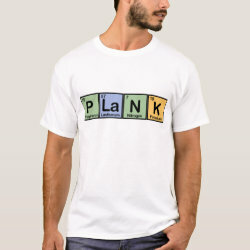 Plank Ladies Ringer T-Shirt: This vintage-inspired ringer is always in style. It's also soft and comfy. Designed just for women by Bella, it has a custom contoured fit. The body of the shirt is light-colored with contrasting neckline and sleeve bands. It's made from 164g, combed, ring spun 100% cotton, 1x1 rib knit. Check out other products with this design or view all apparel.